by Moore, Gerald, Tymowski, Witold. 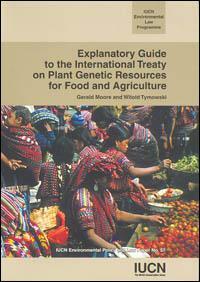 The entry into force of the International Treaty on Plant Genetic Resources for Food and Agriculture marks the commitment of the world community to a freestanding convention directed at addressing both global needs for food security and internationally agreed objectives regarding the concepts of access and benefit-sharing found in the Convention on Biological Diversity. The sixth in a series of Guides to the implementation of particular international instruments and concepts, it seeks to promote greater understanding of the Treatys text, including some of the scientific, technical and legal issues upon which it is founded, and possible implications.